Mother’s Day Campaign Coming Soon! Thanks to the brilliant suggestion of Board of Director’s member Jenny Fouracre, CleanBirth.org will move our annual on-line fundraising campaign to April 23-May 13, 2018 to coincide with Mother’s Day in the US. Like last year we will work to raise $16,000 to provide training and support to nurses and mothers in Laos. Using the convenient crowdfunding platform, causevox.com, we will once again use all of our fundraising prowess during this 3-week event. I realized that I have shared many blog posts on World Moms Network without linking them all back to the CleanBirth.org page. ACD staffers collect data from nurses on a monthly basis, so we can monitor progress closely as the year goes on. However, it is always thrilling to see the final total for the year. For 2017 that number is 1418 moms and babies who used our kits to have a safe birth. None of the moms or babies suffered infections after birth, according the nurses. That’s 4 years of no infections among mothers and babies using kits! 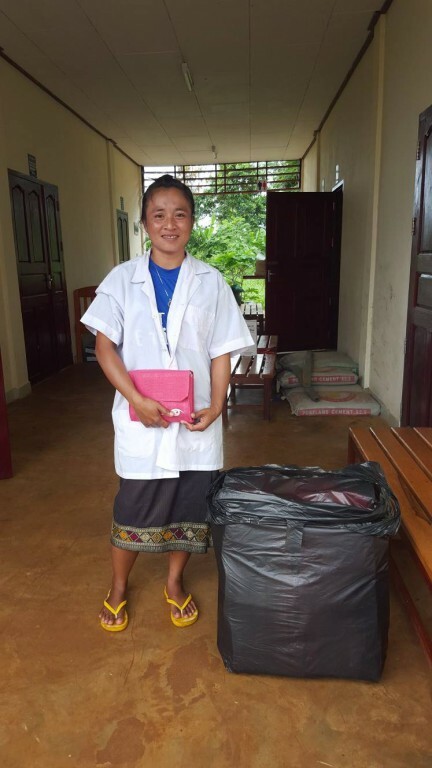 In 2012, I arrived in Laos armed with 300 birth kits and a Clean Birth Kits training manual. My brand new partner Dr. Nong, the founder of the development non-profit ACD-Laos, and I worked together to tailor the training to the Lao context. I lived in her house for a few weeks and we grew to know and understand each other. That fall we trained 4 nurses. The following summer, we trained another batch of nurses. Trust between CleanBirth.org and ACD-Laos strengthened. The numbers of trained nurses grew, the kit shipments too, and we brought nurse midwives from Yale to add an infant care protocol to the training. 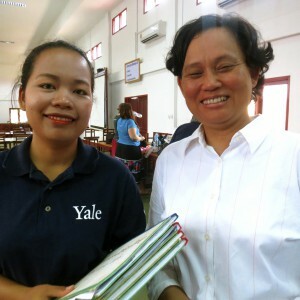 The Yale team and I traveled to Laos 3 more times for training trips. At the end of the final training with Yale in 2015, Dr. Nong and her ACD staff were fully prepared to conduct the trainings themselves. This was my ultimate goal from the beginning. Now these ACD trainers train nurses twice per year. They are the ones who are in monthly contact with the nurses and who visit the villages to conduct interviews. This evolution has exceeded my expectations. I credit the time both ACD and CleanBirth spent listening to each other as the secret to our success. For several years, we at CleanBirth.org worked closely with our local Lao partner, ACD, to develop simple procedures for distributing birth kits, ensuring their correct use, tracking the incidence of infection in mother and baby, promoting family counseling in kit use, and collecting data on all of these points. In the end we provided each nurse with a logbook which they use to collect this data by hand. Then once per month, the data is SMARTphoned into ACD headquarters. Then Noy, the ACD staffer partially funded by CleanBirth.org, inputs the data into a monthly spreadsheet and emails it to us. Old school written book + smartphones + computers = the tech that connects us with mothers in the remote villages of southern Laos.